Here is Verizon = Fail, Part 1 - where they made me wait 25 days for a service call, because that was the earliest that they could get a technician out to my house. REALLY? WTF? 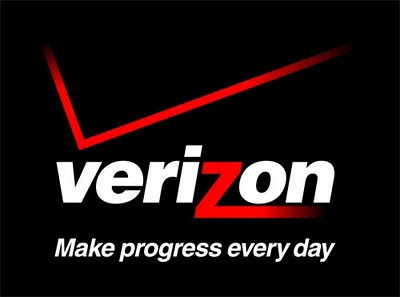 Now we are at day 27 and I still have no phone service and Verizon is simply an EPIC FAILURE when it comes to customer service and technical support - EPIC FAILURE. VERIZON - YOU ARE A FRIGGIN "NO GO" AT THIS STATION! They set me up for my "service call" for Thursday, February 25th with a "window of opportunity" of....WAIT FOR IT....8am - 7pm. ALL FRIGGIN DAY. The technician shows up around 1pm, tinkers with the wires for about 5 min and comes up to tell me that my alarm system has shorted out the line and that he can't work on my alarm so I'll have to call the alarm company and have them fix it. DA HELL? I immediately call the alarm company, they run a line test...and guess what, there is a friggin DIAL TONE at the alarm box and they are getting a signal. It is not a short in the alarm system. So, I have dial tone at the junction box, dial tone at the alarm box - BUT NO DIAL TONE ANYWHERE ELSE IN MY GOTDANG HOUSE!!!! I call Verizon Repair and tell the the situation. The person on the phone apologizes profusely and promises to have a new technician out the next morning. They schedule me for 8am-11am today. AT 1PM I STILL HAD NO TECHNICIAN. NO TEXT. NO UPDATE. NO NOTHING! I call Verizon Repair and they tell me that they are going to "escalate this up to a supervisor" and call me back with an update on the status of my repair. AT 3PM I STILL HAD NO TECHNICIAN. NOT TEXT. NO PHONE CALL. NO UPDATE. NO NOTHING! I call Verizon Repair and am left on hold for exactly 82 minutes and 24 seconds. They tell me that someone will definitely come out to my house today as soon as a technician picks up my "ticket". YOU WOULD FUGGIN THINK THAT THEY COULD TELL A TECHNICIAN TO DO THEIR DAMN JOB. But no, a technician can "pick" a ticket. GTFOOHWTBS! AT 7:30PM I STILL HAD NO TECHNICIAN. NOT TEXT. NO PHONE CALL. NO UPDATE. NO NOTHING! I call Verizon Repair and this poor soul had to deal with my "irritation". However, it didn't make one damn bit of difference what I said. He told me that he would have to reschedule me for tomorrow - between 3-7pm. "I'm sorry for all the inconvenience, but that is the best we can do." I told that young man that you could have the common courtesy to return a call when you say you are going to do it; to at least say "fugg you, we're not coming. "; to let the customer know that they can stop sitting around the damn house all day waiting for your lazy azz-pick a ticket when they want to tech. THAT IS THE LEAST YOU CAN DO. I guess because there is no other land line service in this area, you feel that you can just screw customers and get to them when you damn well please. Right now, I hate you with the heat of a thousand suns. VERIZON...YOU ARE AN EPIC FAIL.